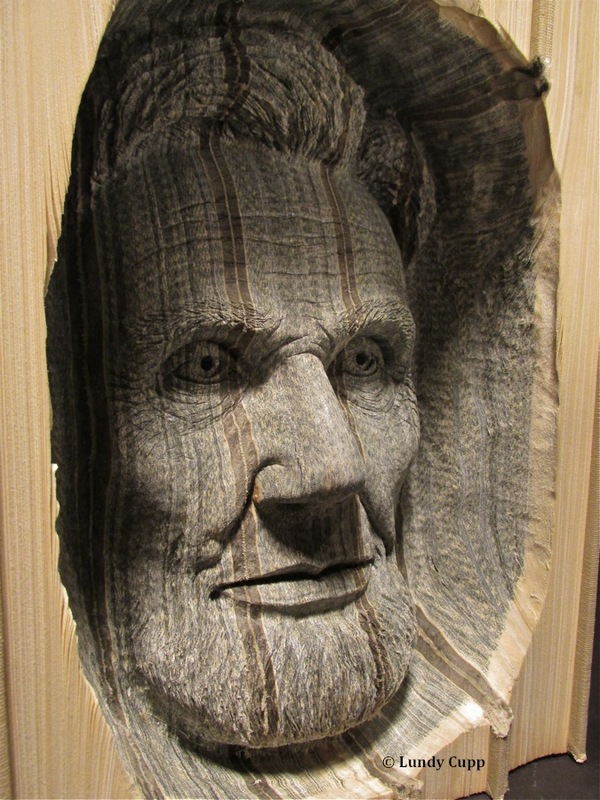 Sometimes the narrative takes shape. 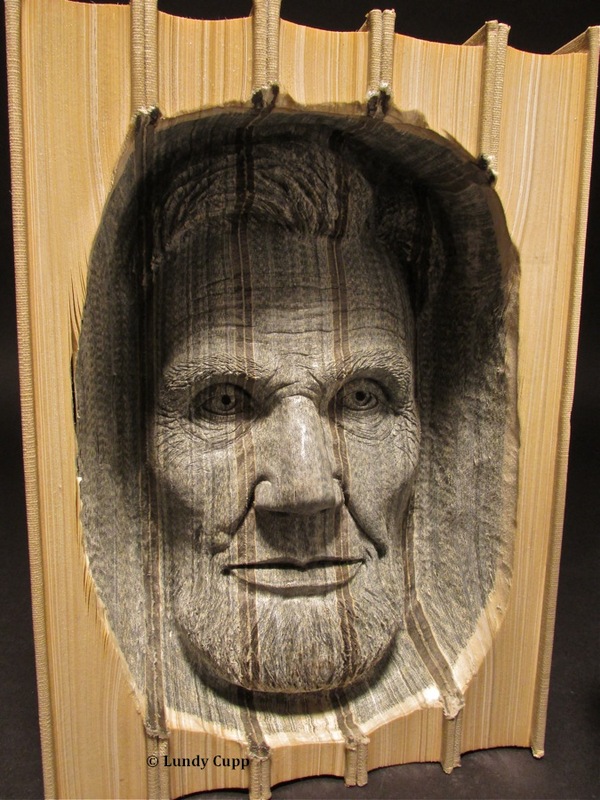 Lundy Cupp started experimenting with forlorn old titles and found he could carve out a bit of history. 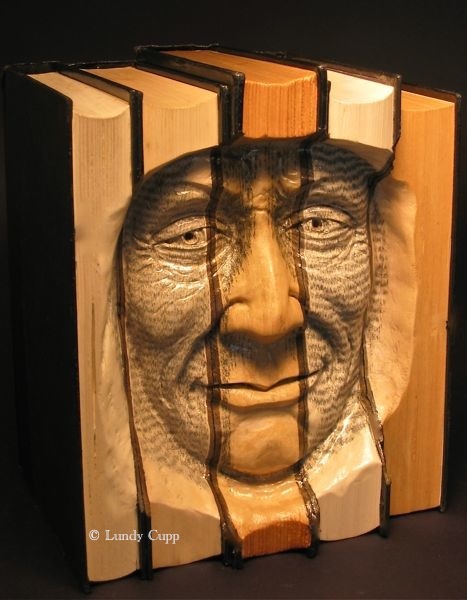 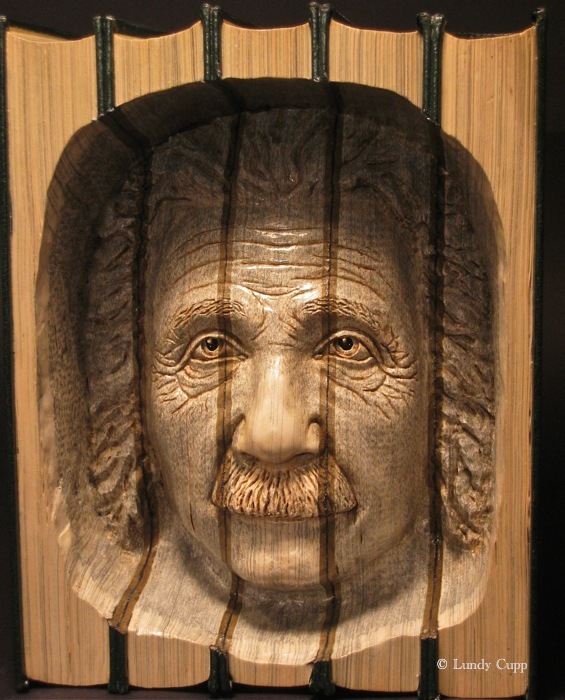 These brilliant sculptures put a new face on an old title. 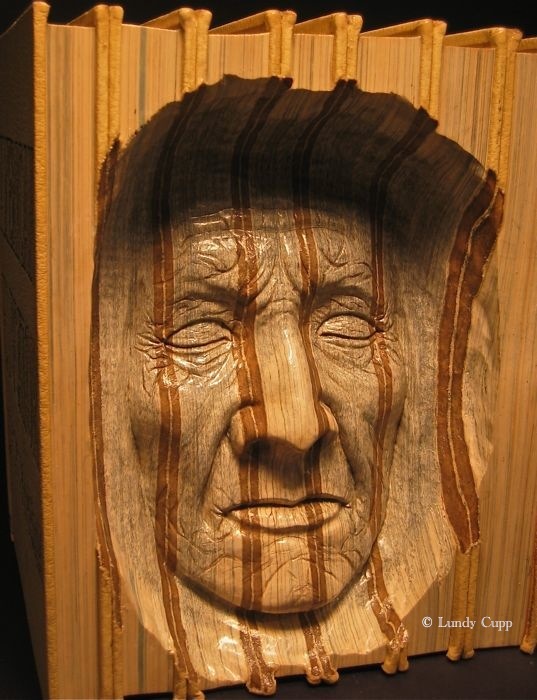 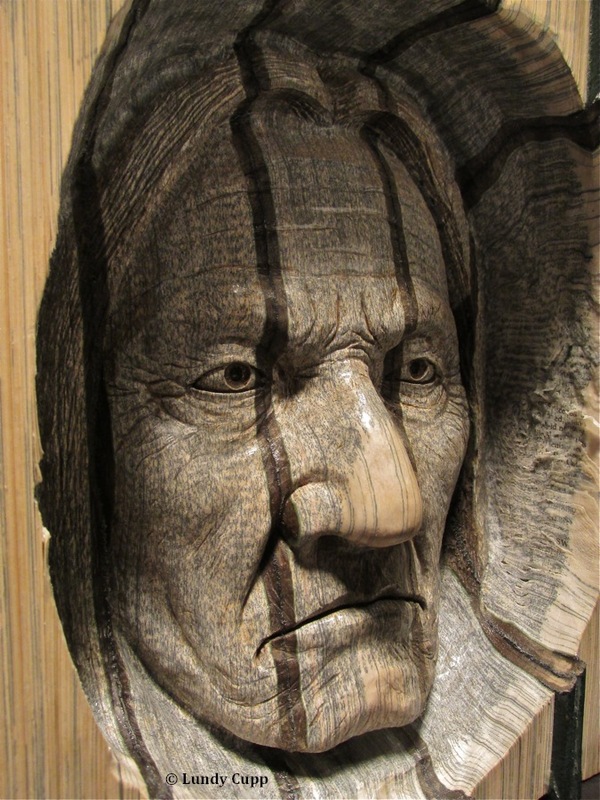 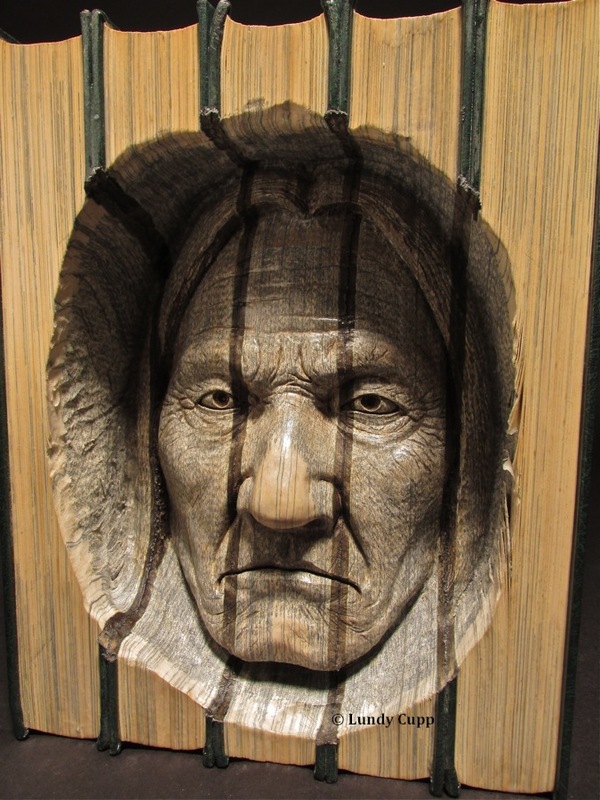 These carvings are so creative, and the medium is amazing, so well done.